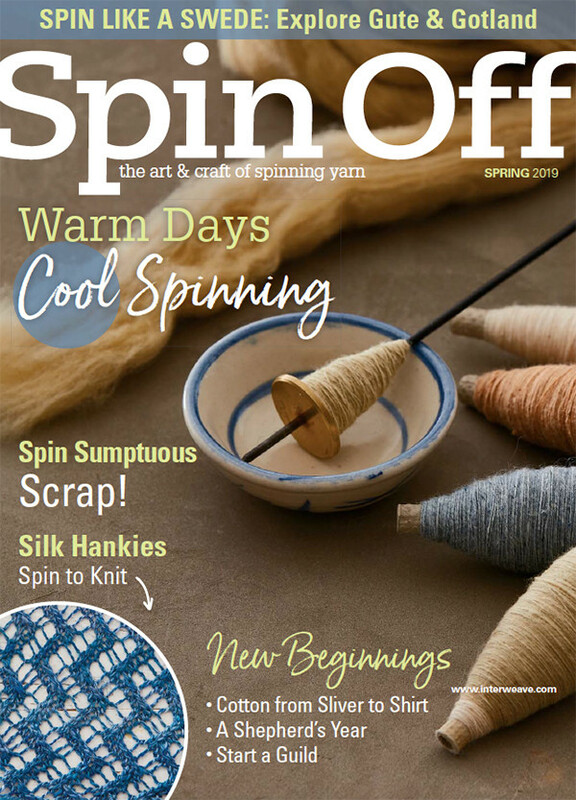 In the Cool Spinning issue of Spin Off discover warm-weather fibres such as cotton and silk to keep you cool in climbing temperatures! 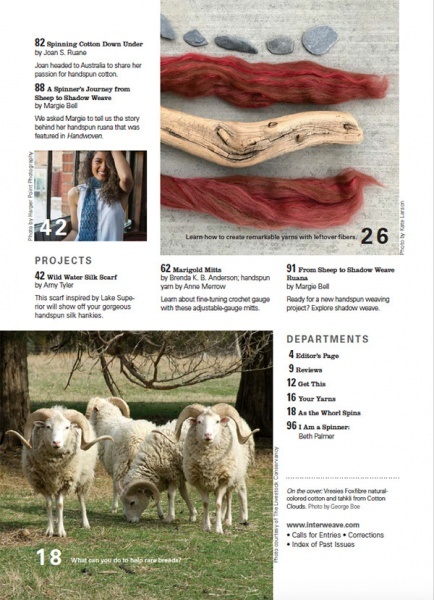 In the Cool Spinning issue of Spin Off, we've gathered stories about small–scale sheep keeping and industry–scale cotton production. 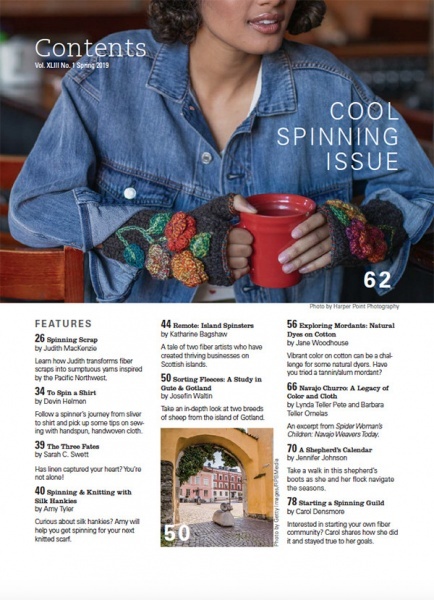 You'll find explorations of fibers that keep you cool in climbing temperatures, such as Devin Helmen's "To Spin a Shirt" cotton adventure and Amy Tyler's approach to spinning silk hankies for lace knitting. 'Cool spinning' offers a variety of interpretations, and our authors found great ways to explore what cool can mean. Spinner Josefin Waltin shared her process of sorting and sampling the cool, silky locks of two breeds of sheep from the windswept island of Gotland. Michigan spinner Carol Densmore tells the story behind her fresh start: creating a spinning guild. And showcase some of your favorite yarn with Brenda K. B. Anderson's crochet mitts!